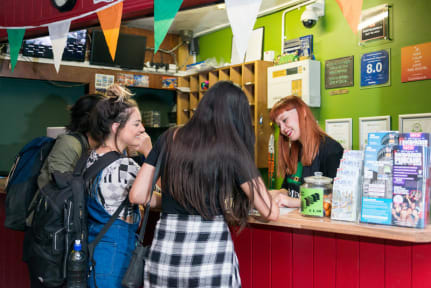 The Times Hostel - College Street kohteessa Dublin, Irlanti: Varaa nyt! Excellent place with excellent location! Really nice staff and lots of activies to guests. Rooms were nice and quite tidy. Definitely worth of money! I really recommend this place to stay in Dublin! A hostel with very nice staff and a good location. Nice hostel, great location. Only negative was with the staff: one of the receptionists that checked me in was not very interested in helping me out. The next day when I tried to ask her about the hostel's evening programme she gave me yes/no answers so I ended up going out by myself. The other receptionists were nice. The room was clean and spacious, although there seemed to be some issues with the plumbing (water was dripping from the ceiling).